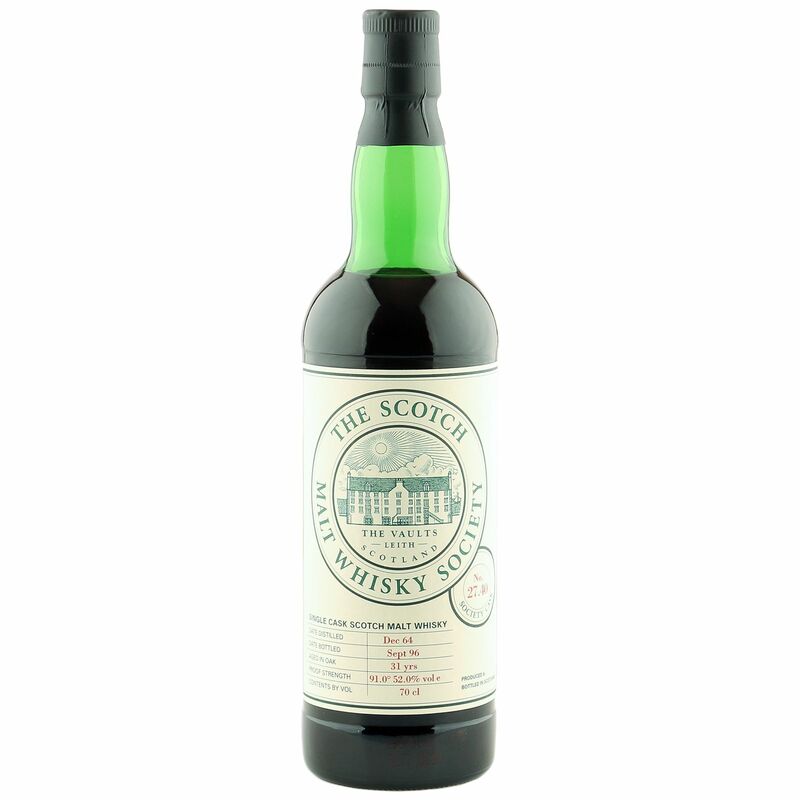 This sensational 31 year old sherry-matured Springbank was distilled in December 1964 and bottled for the Scotch Malt Whisky Society, under Society Cask number 27.40, in September 1996. Drawn from Sherry wood at a natural cask strength 52% ABV, and like similar Springbank distillations from this period, this is a stunning example of a distillery operating at its absolute pinnacle. Supplied in immaculate condition, with a fill level of high shoulder, this stunning Campbeltown malt has rightly earned legendary status within the whisky world.